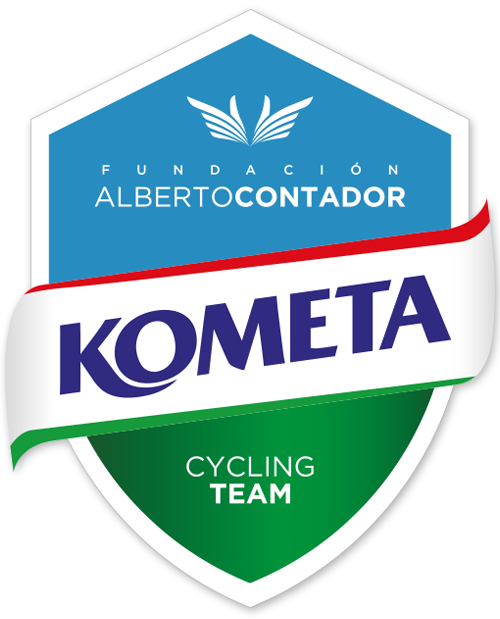 One of the highlights of the weekend for the Fundacion Alberto Contador´s teams was the presence of the Polartec-Kometa junior at the prestigious Tour des Portes du Pays d´Othe in France, a stage race that included a team time trial in the morning of this Sunday and in which the Madrid team went with the maximum of respect and ambition. 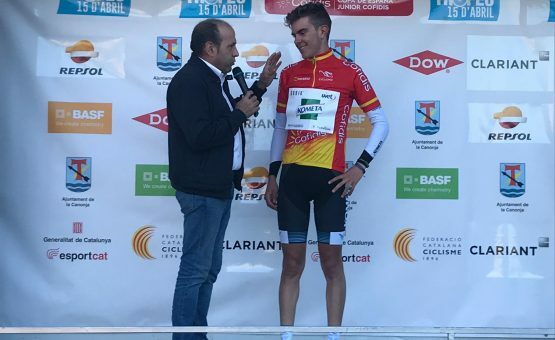 “We are very happy with the performance of the whole team”, says director Guillermo Gutiérrez, “although we were unlucky, we fought for the general classification”. The Frenchman Hugo Page was the winner. 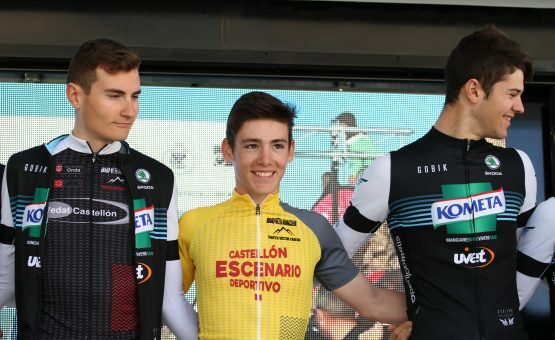 Carlos Rodriguez from Granada, who finished in 25th position 50 seconds from the lead, was the best classified of a Polartec-Kometa team that qualified immediately after Almunecar with Javier Serrano, Ivan Oliver and Manuel Garrido. Alex Martin finished further back, 70th, more than two minutes behind, burdened by efforts in the team time trial of the first Sunday sector. “A race to continue learning the trade”, says the Catalan Álex Martín. Miguel Patiño was forced to retire as a result of a crash during the opening day. “In the first stage there were many crash as a result of the nerves and tension. Five of our six riders went down at some point and unfortunately in a crash we lost Miguel, who had to retire. Even so, we were able to save the day as much as we could and arrive within the main group with the rest of the group”, explains Gutiérrez, recalling the evolutions of a first stage marked by rhythm, rain and incidents. 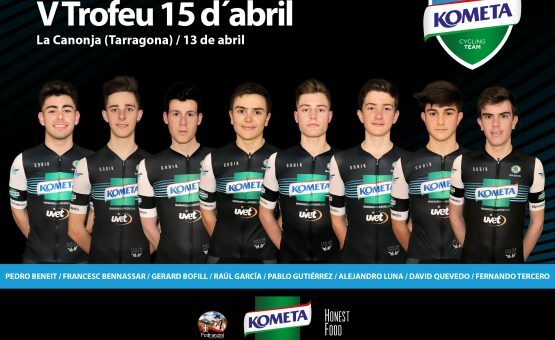 In the team time trial that opened the competition on Saturday, on 16.1 km, the Polartec-Kometa set a great performance. “With one less runner we did a good job. We finished sixth and were twelve seconds behind second place”, the director recalls. 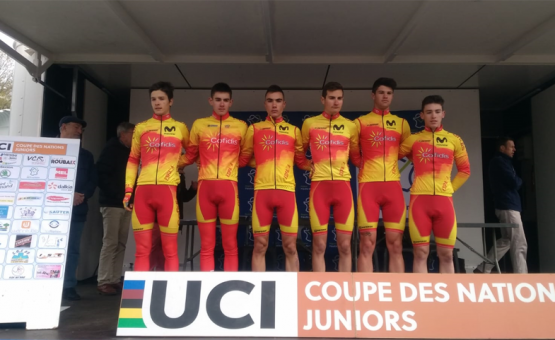 This good time trial for each squad was the preview of the ambitious bet that was deployed in the afternoon, in the 90.6 kilometers with start and finish in Estissac. The Polartec-Kometa ran to win. And his proposal was to do it from afar. “We had a lot of presence in the race with two of our guys, Alex and Carlos, in the breakaway of the day. We had options in the general classification and we tried to get out. 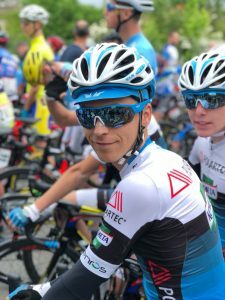 When the breakaway was a minute over the pack, with 25 kilometres to go and with Carlos as the virtual leader, he suffered a crash and all our chances in the general standings were cut short. In the end, he ended up hunting the main pack”, Gutierrez concludes. “As Carlos was close to the head in the general classification, my role was to make the race hard to wear out the first teams. And that’s what I’ve done. I escaped at the 30th kilometer or so and ran away until Carlos came from behind. That’s been a bridge. We’ve gone with eight to ten other riders and got a minute out of the pack with a lot of options to get there. Until, by bad luck, when we were rolling very fast, Carlos made the sharpener with a cyclist who preceded him and fell. A pity”, Martín adds.